Metrics are at the core of every fast growing sales team. But it’s about more than just tracking dials, demos, and deals. Although those metrics are easy to track, they don’t actually give you insights into what’s working and what’s not in your sales process. For that, you need to drill down deeper in your sales funnel analytics. New technologies and tools have enabled us to track everything down to the finest detail. But are we tracking the things that really matter or tracking things simply because we can? Join us as Bob Lempke, VP of Sales at Chartio, and Pouyan Salehi, CEO of PersistIQ share their best practices in measuring the right sales metrics that impact your bottom line. In a software sales career spanning nearly 20 years, Bob has held sales and leadership positions with CA, Cognos, Salesforce, Oracle, Qlikview and Birst. He is a passionate and caring leader, coach and mentor who works hard each day to ensure that the Chartio team delivers an optimal sales experience to our prospects and valued clients. 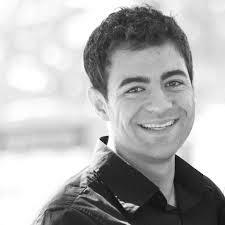 Pouyan Salehi is the CEO and co-founder of PersistIQ, the platform that makes you more effective at outbound sales. Pouyan is passionate about sales and creating amazing user experiences and products. He holds an MBA from Harvard Business School and a degree in Mechanical Engineering from the University of Minnesota.